Światowa klasyka w języku angielskim. When it appeared in 1874, Lady Anna met with little success, and positively outraged the conservative - `This is the sort of thing the reading public will never stand...a man must be embittered by some violent present exasperation who can like such disruptions of social order as this. (Saturday Review) - although Trollope himself considered it `the best novel I ever wrote! Very much! Quite far away above all others!!! 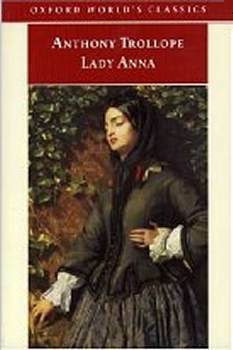 This tightly constructed and passionate study of enforced marriage in the world of Radical politics and social inequality, records the lifelong attempt of Countess Lovel to justify her claim to her title, and her daughter Annas legitimacy, after her husband announces that he already has a wife. However, mother and daughter are driven apart when Anna defies her mothers wish that she marry her cousin, heir to her fathers title, and falls in love with journeyman tailor and young Radical Daniel Thwaite. The outcome is never in doubt, but Trollopes ambivalence on the question is profound, and the novel both intense and powerful.